In Paddock view, select the paddock you have harvested. 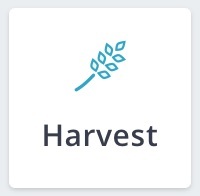 Tap the More option at the bottom right of the screen and select the Harvest tile. Fill in the applicable Harvest, Costs & Storage details for your harvest. Yields can be entered in tonnes or bales just by selecting the type, and then enter the yield per hectare or total yield. For bales you can enter the bales per hectare and the average bale weight to calculate the total yield. You can store your Harvest on or off farm from the Storage Type. 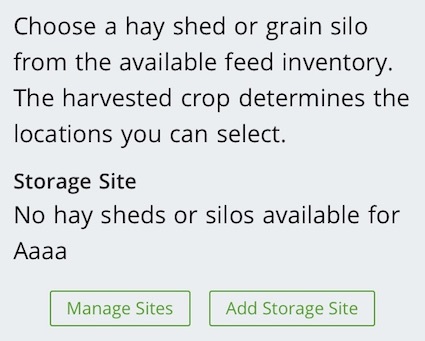 By selecting the on-farm option, you can then add your Harvest to an existing Storage Site or add a new Storage Site.